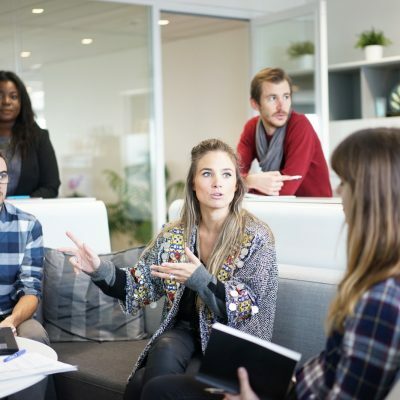 Tracking your daily activity, including the steps taken, can be easily accomplished today thanks to the built-in motion sensors modern smart phones have. There’s no need to purchase an additional gadget for fitness tracking when you can simply use your phone, which you carry with you everywhere you go. If you’re an Android user, you probably know that the Play Store is packed with apps designed to count your steps. Of course, not all of them can match your standards for accuracy and ease of use. That’s why we’ve decided to help you and simplify your task, by compiling a list of 10 apps which you can trustingly put to use. If you want to count your daily steps without worrying that you’ll run out of battery, ActivityTracker is your go-to app. 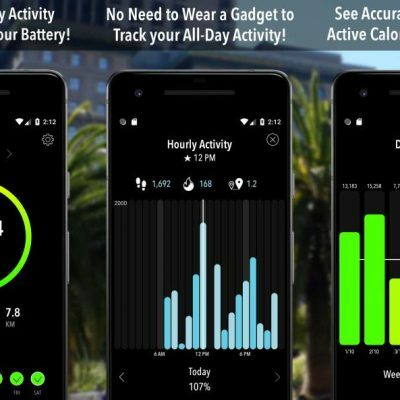 The app uses the built-in motion processor (no GPS to drain your battery’s life) to track your steps, distance covered, amount of calories burned, as well as the total active time. ActivityTracker comes with elegantly-designed report graphs to show you how physically active you’ve been. You can monitor your activity hour-by-hour, as well as on a daily, weekly and monthly basis. To keep you motivated, the app enables you to set a weekly step target and keeps you up-to-date with that target by displaying a daily goal. 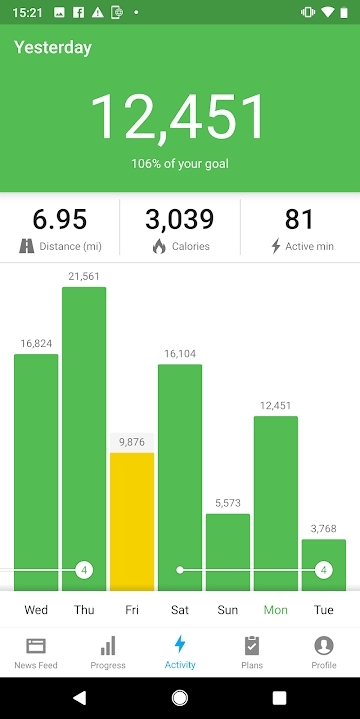 For a complete overview of your progress, you have the option to import all your historical data from Google Fit. The new Google Fit is definitely worth a try if you’re looking to monitor your daily activity. The redesigned version comes with a bright and easy-to-understand interface and revolves around two main activities: Move Minutes and Heart Points. 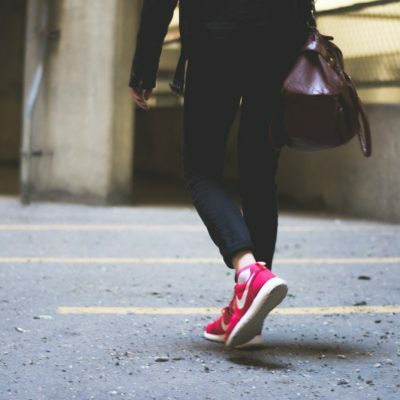 You can accumulate Move Minutes simply by being more physically active: just take the stairs instead of an elevator or go for an evening walk instead of watching TV. Heart Points on the other hand are acquired by doing more intense activities, such as running. No matter the activity, the app will display your daily step count, calorie consumption and distance covered. There’s also an option available to enter your blood pressure and monitor it. What is worth mentioning about Google Fit is the fact that there are days when the app displays more steps than you’ve actually taken. 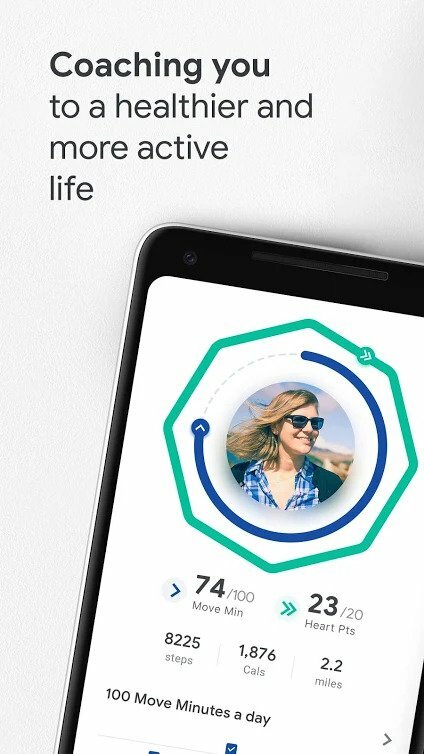 Runtastic Steps is a step counting app for Android created to help you embrace an active lifestyle. The app can track your activity: steps taken, distance traveled, calories burned or active time, and motivate you to keep on going by allowing you to set daily fitness goals. You can visualize not only your daily, but also weekly, monthly and yearly activity for a complete overview of your progress. What’s interesting about Runtastic Steps is the option to select a fitness plan based on your fitness level. 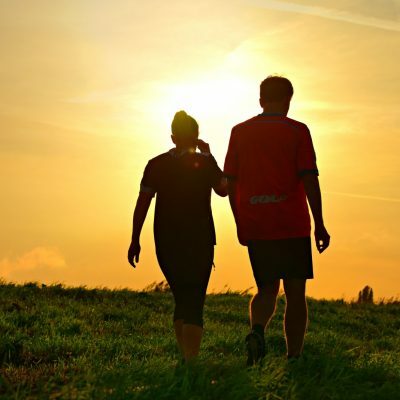 You can opt for 30-Day Activity Boost to increase your step count in a month, Step It Up to become more active and Walking for Weight Loss, where you intensify your level over 3 months to reach the targeted weight. The app also offers the option to enter competitions with friends and see who has been more active within a week or month. Fitbit doesn’t necessarily have to be synchronized with other devices in order to provide relevant info about your physical workout. With the aid of your phone sensors, the app can record basic stats, such as your step count, total calorie consumption, active minutes or distance traveled. In addition to tracking your daily exercise, Fitbit can help you make smarter choices when it comes to your nutrition. The app lets you log your meals and displays your calorie intake to make sure your burn more than you eat. At the same time you can log your water intake and see if you’re suitably hydrated. 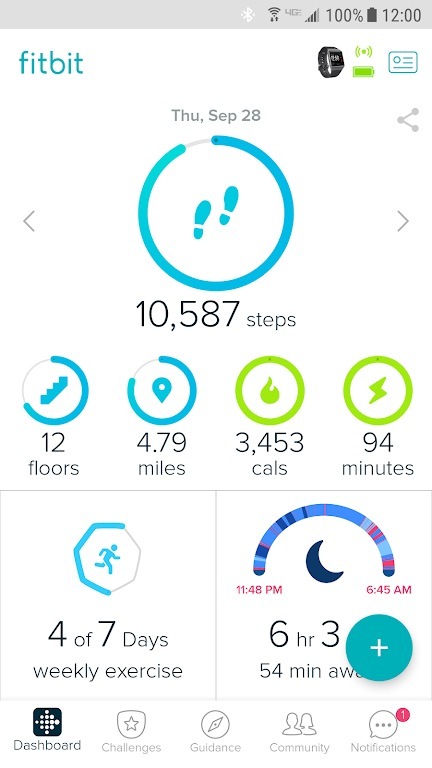 To encourage you to move more, Fitbit gives you the chance to invite family and friends to various fitness challenges and share your achievements. 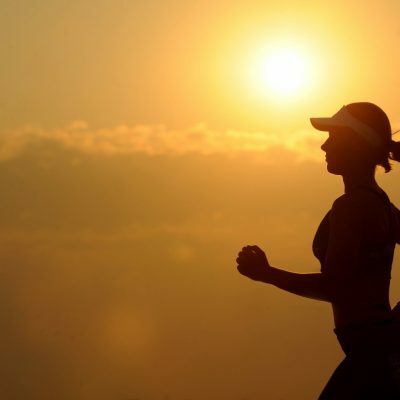 Pacer’s goal is to help you improve your health by directing you towards a more active lifestyle. The app can sync data with popular fitness apps such as MyFitnessPal and Fitbit in order to provide you with complete and accurate results about the steps taken, calories burned or distance walked during a day. It also uses GPS to monitor your outdoor workouts on a map. To give you a sense of direction, Pacer provides daily exercise plans created by professionals to match your fitness level, as well as audio and video guides. Another cool feature of this app is the social component it embeds. With Pacer you can join a community of fellow fitness enthusiasts, create walking groups with family and friends and take part in various challenges to burn calories and lose weight. EasyFit Step Counter makes it simple and fun to track your movement on a daily basis. 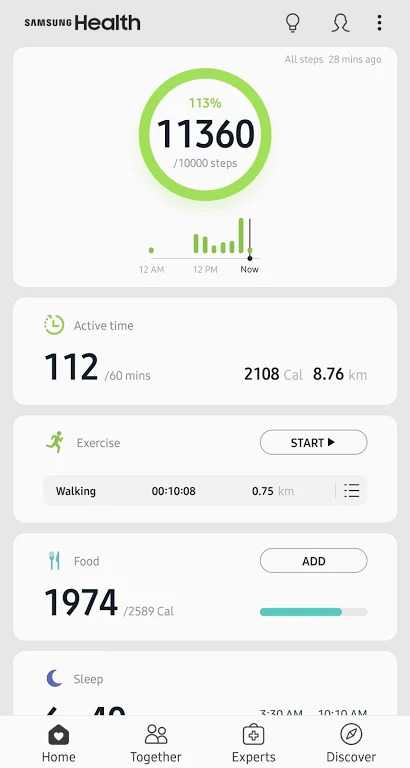 With a distinct design and over 20 colorful themes to select from, the app records and displays in animated stats all your physical activity, from the steps taken and distance covered to the total calorie consumption. Pretty useful is the fact that the app comes with a water tracker which enables you to see whether you’re staying hydrated enough. You can set various goals for yourself, such as the amount of water to drink or the number of steps to take during a day. EasyFit Step Counter also offers a home screen widget to help you quickly see how you’re coming along. Samsung Health places at your disposal multiple features to stay active and healthy. No matter if you’re walking, running, riding your bike or playing indoor sports, the app will record and show your daily performances: how many steps you’ve taken, the distance traveled, the calories burned or the active time. Besides motivating you to move more, Samsung Health can help you develop healthier food habits. The app enables you to enter your daily food, snacks, caffeine or water intake and see whether you’re developing a balanced diet. Samsung Health also provides exercise plans for various activities, ranging from running to muscle building, and lets you enter competitions with friends for extra motivation. 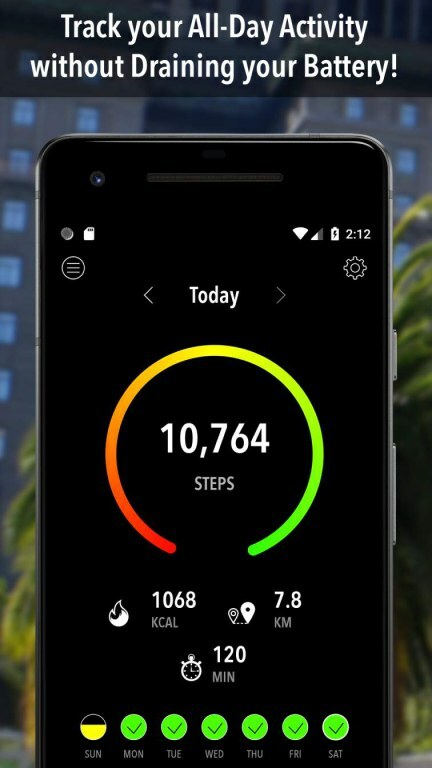 As the name clearly indicates it, Step Counter by Leap Fitness Group is designed to count your daily steps without affecting your battery (no GPS). 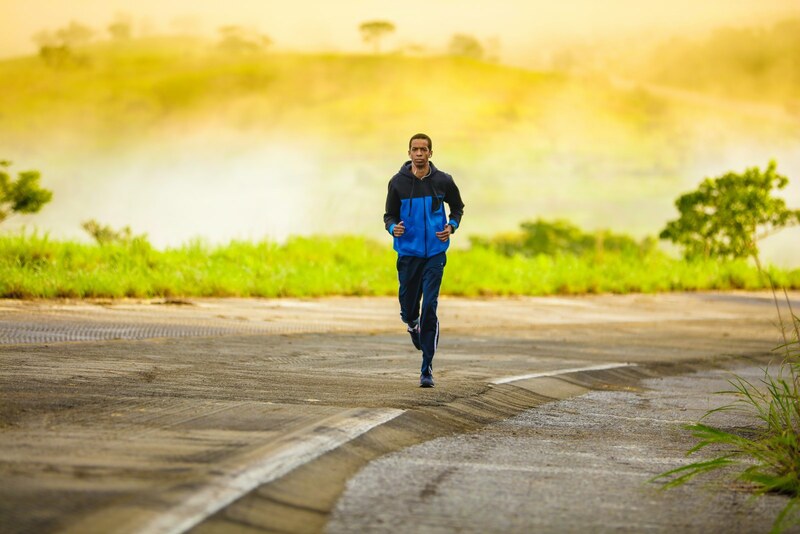 Additionally the app records the distance walked or ran, the time you spent active, as well as the amount of calories burned and displays all these stats through colorful and easy-to-understand report graphs. 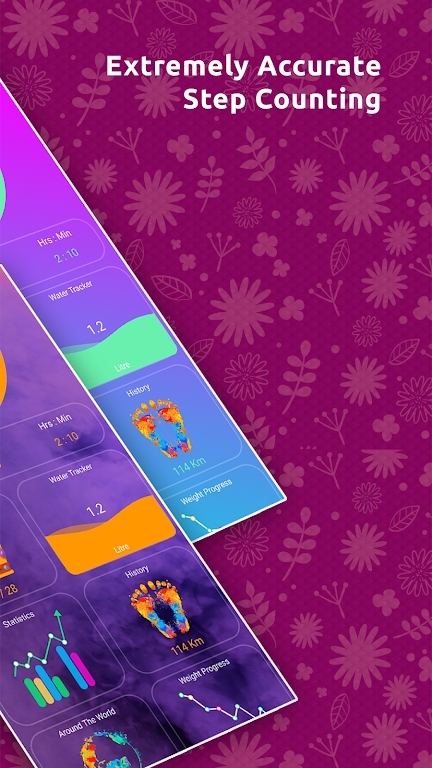 A home screen widget is also available to quickly visualize your progress. 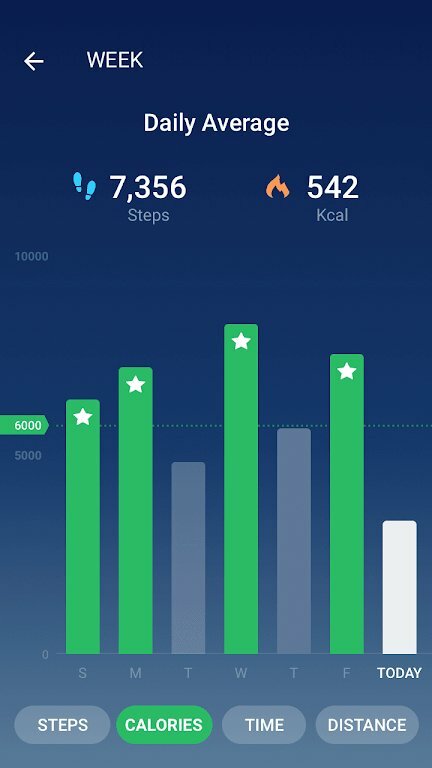 With Step Counter you can set a step goal for yourself and adjust it along the way. Once you’ll reach your weekly goals for steps taken and calories burned, the app will reward you with badges and give you the option to share your achievements via email, WhatsApp or directly on Facebook. You can also monitor your progress by checking out your daily, weekly or monthly activity. 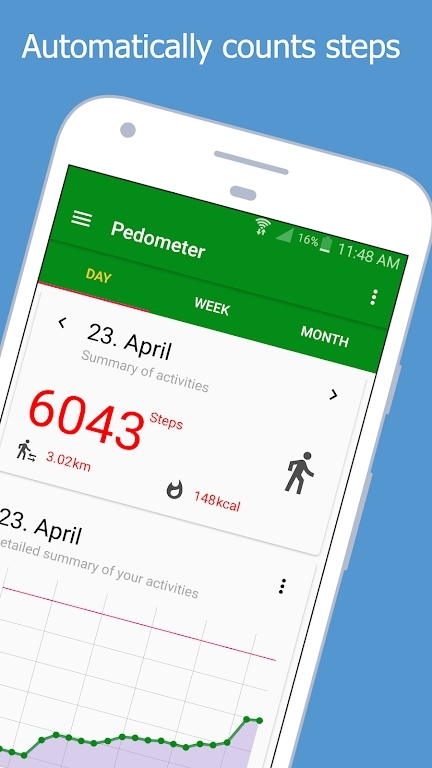 Pedometer by Simple Design is an easy-to-use Android step counter. If you’re looking for a simple app to track your day-to-day activity, this one is definitely worth a try. Taking advantage of the built-in motion sensors, Pedometer records and shows your daily step count, the distance traveled or calorie consumption. The app allows you to set a step goal and keeps you up-to-date with your daily, weekly or monthly progress. There’s also a training mode available, which lets you start various walking sessions and records your physical activity separately from your daily movement. 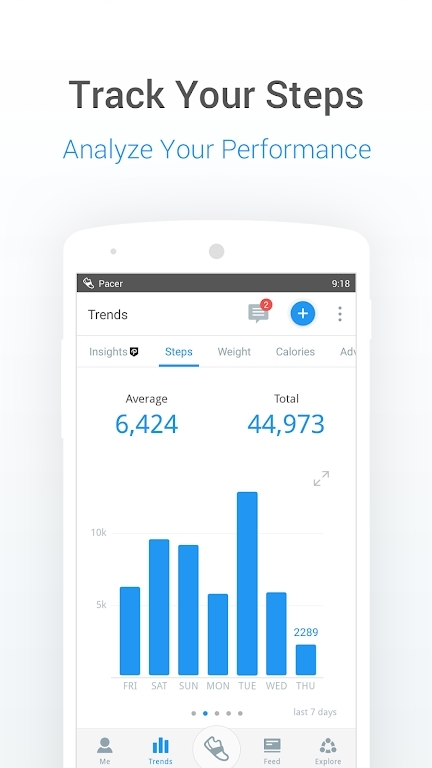 Simple Pedometer by Mody Apps is definitely worth a try if you’re searching for an easy-to-use Android step tracker. The app comes with a clean and clear interface and monitors your daily physical activity without draining your battery. 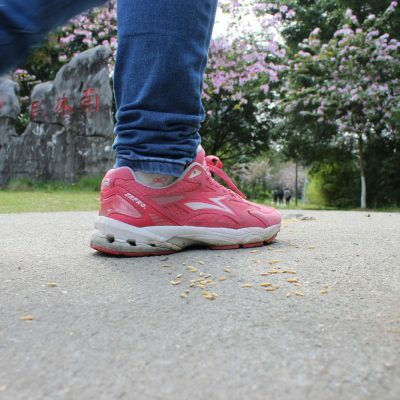 Simple Pedometer automatically counts your steps, as well as your distance, average speed and calories burned. 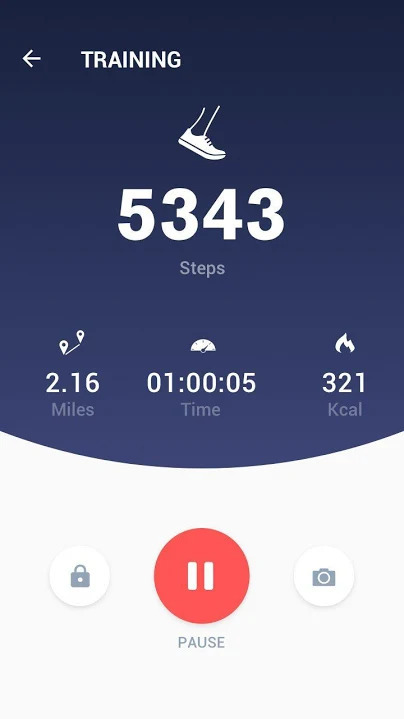 The app lets you set and adjust a daily step target and also join a fitness community if you want to share your performances with other users.